USA Track & Field’s Mountain Ultra Trail (MUT) Council announces the following 12 races scheduled to host National Championships in 2019. A total of $56,000 in prize money will be awarded and medals will be presented to the top 10 overall USATF athletes and top three in each 5 year masters’ age group starting at 40. Above photo by Joe Viger Photography. Addie Bracy at the 2018 USATF Mountain Running Championships at Loon Mountain. Here is a list of the 2019 USATF National Championships in mountain, ultra & trail running confirmed as of December 1, 2018. For questions about the USATF MUT National Championship races contact Joe Jurczyk (jurczyk@gmail.com), USATF MUT Championship Chair. Athletes who participate in National Championships and Team USA competitions are subject to drug testing performed by the U.S. Anti-Doping Agency (USADA) in accordance with the USADA Protocol for Olympic and Paralympic Movement Testing. Eric LiPuma winning the 2018 USATF 50K Road Championships at Caumsett State Park. Sabrina Little on her way to winning the USATF 100 Mile Trail Championships in Texas. 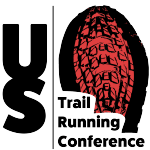 American Trail Running Association (ATRA) founder & Executive Director Nancy Hobbs is chairperson of the USATF MUT Council. ATRA’s Director of Marketing, Richard Bolt, is a member of the USATF MUT Council and Executive Committee. Nancy lead three meetings of the MUT Council over two days at last weeks USA Track & Field Annual Meeting in Columbus, Ohio. You can read the complete meeting minutes here. 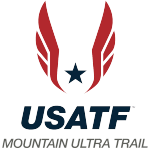 Mountain: The annual USATF Mountain Running Championships is a 10 to 12 km event alternating uphill (even numbered years) and uphill/downhill (odd numbered years) organized in accordance with IAAF Rule 251. Women & men run the same distance and a separate start is preferred. Organizers design a course profile & distance which closely mirrors the World Mountain Running Championships of the same year. Poles are not allowed. Ultra Road: These are championships longer than 26.2 miles which are held primarily on roads or a track. Parts of the course could also be on paved paths closed to vehicular traffic or dirt roads. Events follow IAAF Rule 240 (Road Races) with some exceptions for 252.8 (Refreshment Stations) to allow for crewing. Championships which are also IAU label events may be subject to certain IAU rules which could differ from IAAF rules. Consult the race director to determine which rules will apply. Ultra Trail: These are championships longer than 26.2 miles which are held primarily off-road where the majority of the course is closed to vehicular traffic. Events generally follow IAAF Rule 252. Crewing at aid stations is allowed. Poles may be allowed. 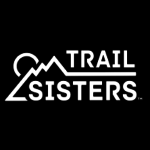 (Sub-Ultra) Trail: These are championships at 26.2 miles and shorter which are held primarily off-road and where the majority of the course is closed to vehicular traffic. Events generally follow IAAF Rule 252. Poles may be allowed.